Venus is considered a significant planet, as it represents the noblest of emotions - love. It also denotes highly sought after aspects like beauty, grace, romance, artistic temperament, pleasure, luxury, comforts, and joy. Venus thus stands for all that, which make life worth living, purposeful and enjoyable, in this world. 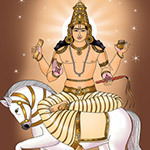 He is also known as Shukra Graha. 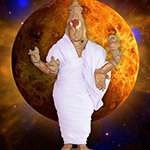 Mythology considers him as Asura Guru, the teacher-guide of the demons. But still, he is regarded as an auspicious planet, who can bless devotees with wealth, good intellect and happiness. 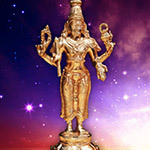 Vedic astrology hence holds him in high significance and attaches great importance to his placement and movement in the zodiac. ‘Men are from Mars and Women are from Venus’ is a famous saying many might have heard. This is not a meaningless quip but is a valid statement, for it is Venus who governs the female gender. This planet can fill their lives with many gifted attributes. 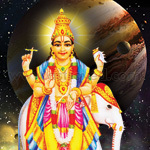 Venus Pooja is special worship dedicated to the Shukra Graha, which it is believed, can please the planetary lord and get his benevolent blessings for the devotees. Venus remains a planet of beauty and love, and his grace can bestow people with these welcome aspects. 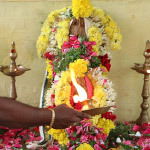 By performing the Venus pooja, people can appease the planet and receive his grace in the form of many blessings. 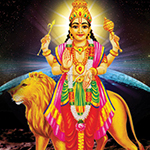 Maha Lakshmi is the ruling deity of this planetary lord. 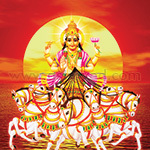 She is the universal mother and one of the supreme Goddesses, ruling over the much sought-after possession of wealth. She is also the consort of Lord Vishnu, the supreme God of protection and sustenance, and remains as an embodiment of auspiciousness and prosperity. Her blessings can bestow people with a great many benefits like youthfulness, good health, beauty, great riches, abundance, and joy. Venus pooja done with devotion and faith can please this mother Goddess too and get for the devotees her divine blessings. 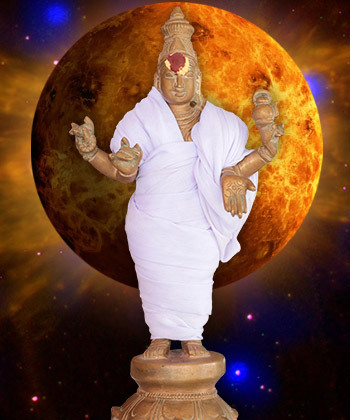 Venus rules over Friday and so, that weekday is known as Shukravar, the day of Shukra Graha, the planet Venus. He is also said to cast his influence over a particular period of time lasting for about an hour, and this is called as Venus Hora. The day and time ruled by Venus, that is Venus Hora of a Friday is recommended as the most suitable time for conducting the Venus pooja and seeking the blessings of Shukra Dev. Venus’ grace can fill a life with all those blessings that can make it beautiful and loveable. 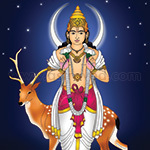 Venus pooja is a definite means of earning that invaluable blessing from the planet. This worship can bestow wealth, property, education, good children, long life and happiness on people. It can provide them with energy, beauty, money, and sensuality; make them creative and attractive; fill their lives with good luck, love, values, harmony and personal magnetism; bestow artistic temperament, expertise in various art forms including music and dance, good social standing and the ability to bond in close relationships; and give them the ability to show and receive unrestrained love. This is the sacred mantra chanted by devotees for invoking the planetary lord Shukra during the Venus pooja. This is said to be a potent hymn that can please Venus and get his benevolent grace for the devotees. Do you agree that your married life can become monotonous if you lack some spice in it? After a few years of marriage, life partners often become dissatisfied in their married life; boredom and monotony sets in. Well, you are indebted to revamp things a little. And you, as a couple, have to make a concentrated attempt to keep the relationship on a buzz.